“Never do we go outside space. We find ourselves not within an indeterminate space but rather in areas we know or might very easily localize […]” (1950/1980, p. 157). Memory may be related to time, space and the social dimensions of life. For centuries, this was an interesting topic of debate for philosophers, artists and scientists, but the science behind these mental processes became clearer in relatively recent times. Advances from neuroscience now suggest that for both humans and animals, episodic memory is supported by “time cells” located in the hippocampal region of the brain – these are neurons that fire at specific moments under otherwise constant conditions. 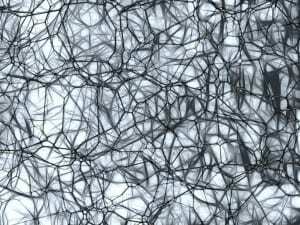 But are space and time ‘coded’ independently by these neurons? Recently, a team of neuroscientists have examined hippocampal neuronal firing patterns (“time cells”) of rats running on a treadmill under relatively constant behaviour and location conditions; researchers varied the treadmill speed to distinguish the time elapsed from the distance travelled during the experiment. The aim was to reveal if different neurons respond to time and distance (ie. space). Researchers found that “cells significantly influenced by only time and those significantly influenced by only distance regularly fired together […], showing that both time and distance are being represented simultaneously in the hippocampus, and strongly suggesting that the remaining cells are conjunctively encoding both time and distance at all times” (Kraus et al, 2013, pp. 1097). If this is true for humans, space, time and experience are inseparably combined in our capacity for episodic memory. As Halbwachs had suggested, spaces that are imprinted in our memory – whether built or open, outer or digital space – may be personal perceptions of those spaces, as experienced during a particular time. Science can be found – and done – in all of these spaces, but the biggest challenge is probably to remain open to the idea that space (and time) can be seen in many different ways. Be curious. Experiment. Be open. Maurice Halbwachs, 1980, The Collective Memory, New York: Harper and Row Books. Translated from: La mémoire collective, Paris, Presses Universitaires de France, 1950.